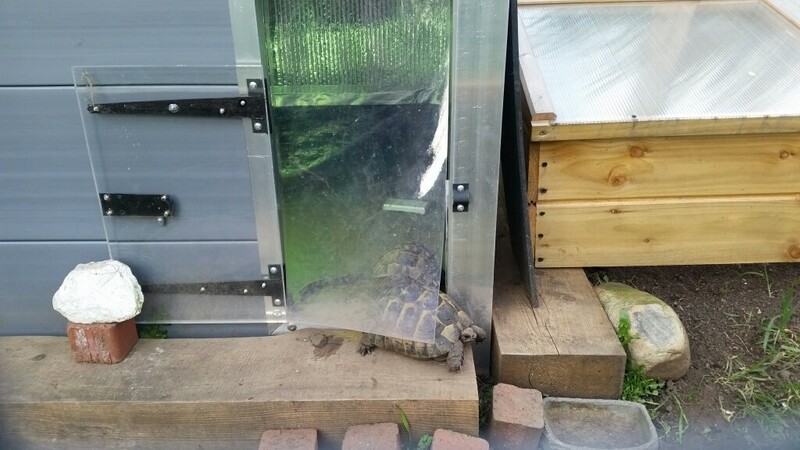 Am redoing my tort enclosure after a house move with a much bigger (and south facing) garden. Have been looking at a plastic insulated one like shown below. Can get the door hole custom made so it's sized appropriately with a closable door. 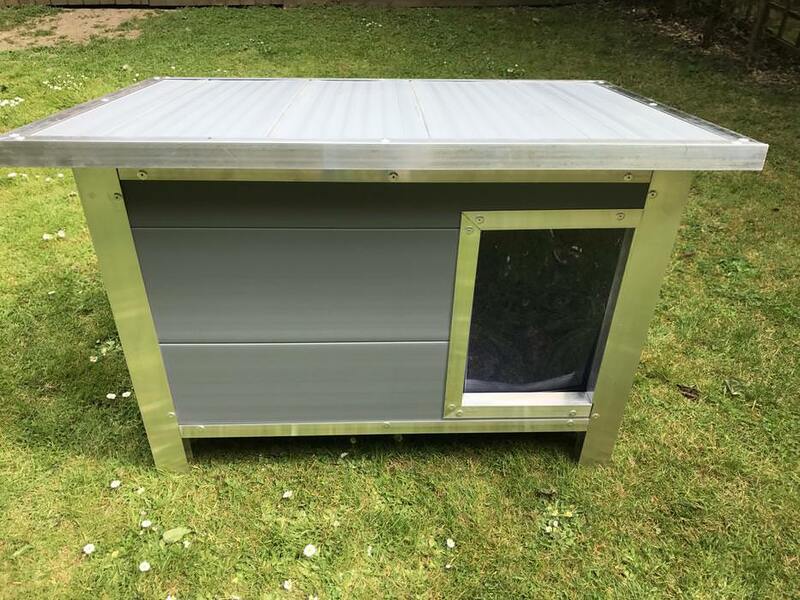 I have a similar wooden one already but it's seen better days and with the extra insulation the plastic one can have they can be out longer as the heat/UV lamp in there will be more efficient so they can still come and go on colder days. Not cheap but am never going to get round to building my own one. Round here the rats would live underneath, so you would need to think about the gap. Also if one of the torts could go underneath could you get to them. Would you make a ramp up? We had to do this for the shed, but made sure it was a long and wide gentle slope so they couldn't fall off. I wouldn't usually go for plastic but this plastic is durable stuff so should last many years. Easy to clean and no wood to retreat. My old one was almost the same but wooden and the roof rotted after 5 years and it was easily damaged when I dismantled it for the house move. Got several neighbours cats always in my garden to take care of any mice or rats but it'd be on top of some paving slabs to prevent the torts from digging down. They'll have other places in the enclosure for that. Can add a stable ramp for the torts or can even get the legs shortened or removed completely. Look forward to seeing your final arrangements. It is so good to share as gives us all ideas. Mines not insulated so your one is ideal. I love dog houses they are so good for the larger tortoise and you can adapt it. think this one could house a great dane and is used purely as a second home by one big Tortoise. Congratulations on your new home and south facing ! its scorchio at the moment so I have also invested in a 'bar' umbrella for the little creeps. don't forget to post photos would love to see any set ups! Awww, would probably have done the same! Well done! Am ordering a load of wood and wire mesh panels to put an enclosure together. Need to have it covered properly as there a a few cats along with magpies and Jays who have shown an interest. Foxes in the area too, one was attacked a few years ago after I forgot to put the roof back on their enclosure. He lost a nail and there are a few small gouges in his shell. Was a bit bloody when I found him on his back in the middle of the lawn in the morning. Fortunately they didn't get infected or rot! Wow. poor torty. I think you can just be unlucky sometimes. 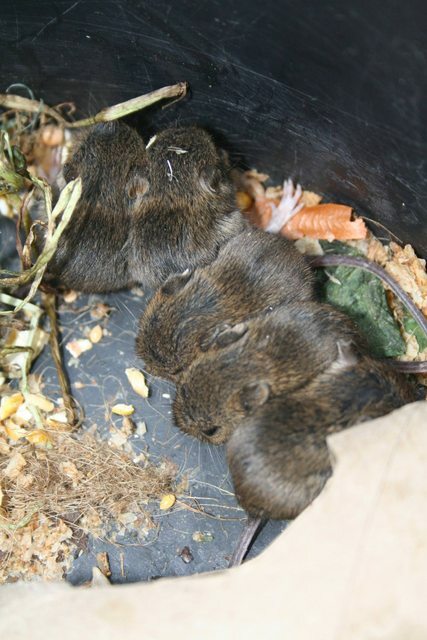 We have foxes, cubs, voles, buzzards and even baby badger, but there is only so much security you can do with some of the larger torts during the day. 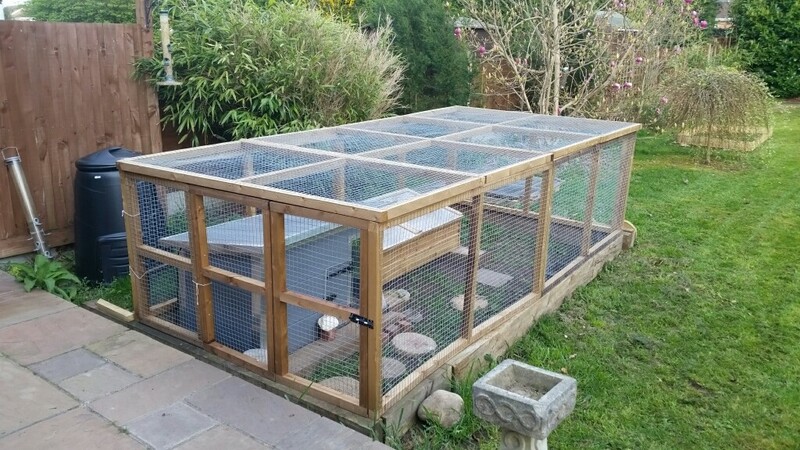 It's been a while but got the new enclosure sorted not long before the two spurs went in to their hibernation. It's 12ft by 6ft with the kennel mentioned above. It's been lined with Styrofoam sheets all round top and bottom and a lining of silver bubble wrap that I had lying around. The floor and and 6" up the side is pond liner for easy wiping out. At the time, there was one of these Kennels going 2nd hand less than half the price of new and it was only 10 miles from me so I snapped it up! It was pretty much "as new" condition. Their Arcades D3 bulb is in the kennel and there is a clear plastic flap over the entrance to keep in the heat. This is turned off on warm days. They come and go through this flap just fine. No issue clambering up and down the temporary small brick steps! It has a hinged door as well to keep closed. There's the wooden and perspex cold frame next to it to give them options. The wire frame panels are sitting on wooden sleepers. Can't help thinking I could/should have gone bigger! Last edited by Smeg; 15-04-2019 at 11:57 AM.